Building Bonds Between Dogs and Their People! 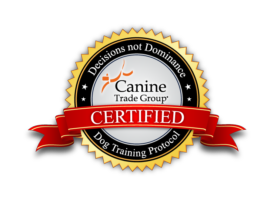 John Van Olden utilizes a reward-based training regime, that enables your dog to be successful in any scenario. We work with dogs of all ages, including every breed in existence in Dover and throughout Delaware and get exemplary results, regardless of the animal’s personality, attitude and the behavioral issues that face the animal. We have worked with literally thousands of dogs over the years all over the country, so nothing ever surprises us. Whether your dog has issues caused by aggression and separation anxiety, or if it just needs to learn consistent obedience commands, it’s fairly safe to say there are several new behavior patterns that your dog needs to know. John Van Olden works with dog owners in Dover and Delaware Beaches with a program that starts with teaching your dog a series of new preferred behaviors. To make it comfortable and set up your dog for success and avoiding any distractions in the early staging of training, we customarily begin all of our dog training programs in your home. Now that your dog has had time to absorb the training and practice this new set of behaviors, it’s time to make certain that he/she knows how and when to put them to use. To achieve this, we’ll begin “looking for trouble.” During this stage of training, the dog is learning how to make good behavior decisions in scenarios where he previously made bad choices. Those new behaviors that your dog has learned during the first phase of training are only constructive if your dog employs them when it counts the most! At this juncture in the professional dog training process, it’s the ideal time to instruct your dog to respond consistently, even with a series of difficult distractions that we will create for the animal. These valuable lessons are best taught in a setting where your dog will be tempted, so we’ll personalize these lessons to your dog’s specific needs. This last chapter of the training will emphasize this new connection of reliance and admiration between you and your canine, which has been developed and strengthened through the entire training procedure. John believes in devising a training plan that will significantly enhance your relationship with your dog. If your dog has behavioral problems , you could be under the impression that there isn’t a feeling of genuine trust between you and your dog. Our training process is designed to show your dog that he/she can rely on you and how to safely guide the animal, so that you can trust your dog to follow your lead and vice versa. Before we commence training, it’s imperative to do a thorough behavior evaluation of your dog in its home environment. It’s also vital to get to know you and the dog’s other family members (both human and otherwise), and discuss with you about your training objectives. This is why we schedule a preliminary consultation so that we can familiarize us with you and your dog as you meet us as well. Give us a call at 800.649.7297, or email us using our contact form. We look forward to chatting with you about your dog!